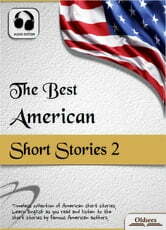 Timeless collection of the greatest American short stories. Finding time for reading can often be a difficult task for many people with hectic and busy schedules. Committing oneself to a novel often involves a major investment of time and daily distractions, and tasks interfere with the ability to complete a novel in a timely fashion. Short stories are designed to be read in one sitting. As such, short stories can be easily read on the morning commute, on a lunch break or in the evening. Reading short stories helps to establish a reading schedule or routine. Short stories provide ample opportunities to increase your knowledge about different cultures and different lifestyles. 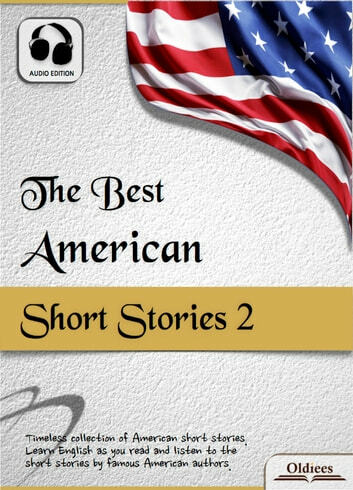 LEARN ENGLISH AS YOU READ AND LISTEN TO THE SHORT STORIES BY FAMOUS AMERICAN AUTHORS. ADAPTATIONS ARE WRITTEN AT THE INTERMEDIATE AND UPPER-BEGINNER LEVEL AND ARE READ ONE-THIRD SLOWER THAN REGULAR ENGLISH. Audio can only be played on the tablets and apps and they're not compatible with eReaders.